Thank you for such an enormous and wonderful outpouring of love on my birthday! You all know how to make a gal feel special. Thank you so much, and I’m glad that the turning 30 theme struck a chord with many of you. Yesterday, I showed you my absolutely scrumptious birthday gift to myself: chocolate avocado cupcakes with chocolate avocado frosting. 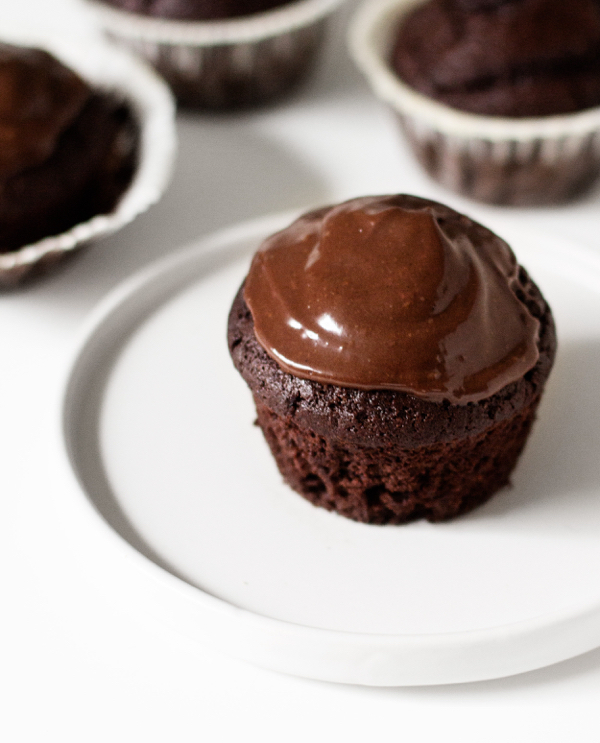 Inspiration from this recipe comes from the lovely Nicole, who recently posted a smashing recipe for gluten-free chocolate avocado cupcakes on her blog. 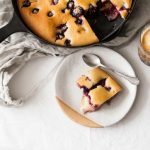 I thought they were beautiful and ingenious; it had never occurred to use avocado in a baked good, but what a wonderful way to add healthful fats to a batter! In the end, I used a mix of avocado and oil in my recipe (Nicole used avocado only), but I still loved the idea of adding a whole foods fat source to a cupcake, all the while keeping it light and fluffy. Since I was using avocado in the cupcake, it felt perfectly reasonable to use avocado on the cupcake, too. I’ve made many a batch of vegan chocolate icing with a standard mix of confectioner’s sugar, Earth Balance or vegan shortening, and almond milk. It’s great, but truth be told, I’m equally happy with a batch of chocomole. It’s one of my favorite raw dishes, and it’s every bit as good on top of cupcakes as it is eaten with a spoon. 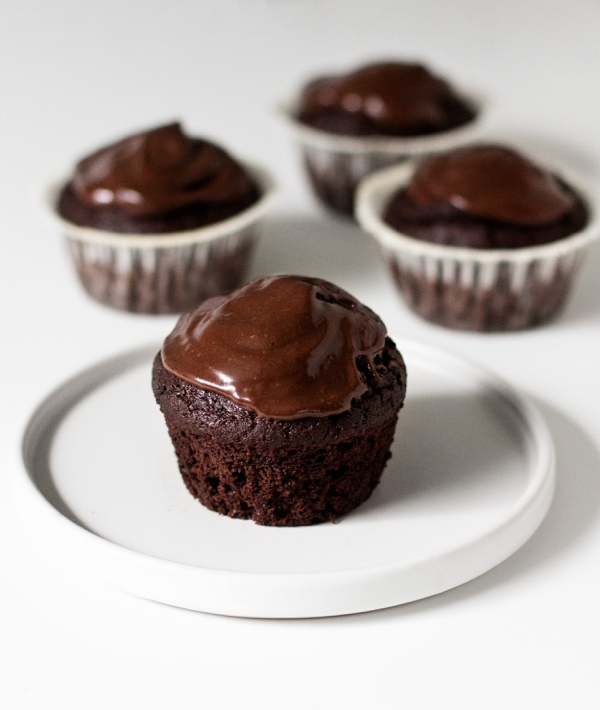 You can use any icing you want for these cupcakes, naturally, but I’d encourage you to give the chocomole a shot! Preheat oven to 350F. Grease 8 muffin tins or line them with cupcake liners. Mix together the flour, cocoa powder, baking soda, baking powder, sugar, and sea salt. Place your avocado, water, maple syrup, vinegar and vanilla in a blender, and blend till smooth. Add this mixture to the dry batter. Whisk until the batter is evenly mixed. Pour batter into a greased muffin tin. 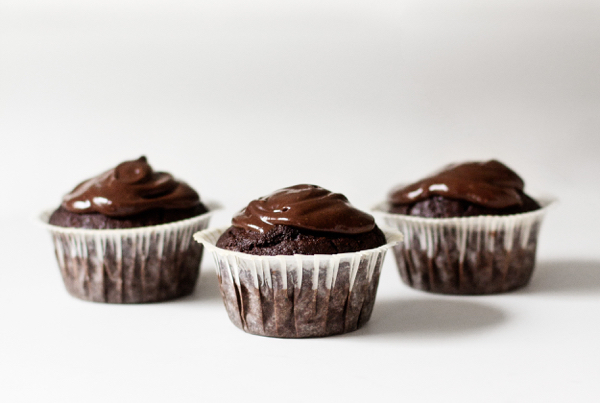 (This recipe yields 8 cupcakes, so pour it into 8 of the tins!) Bake for 18-22 minutes, or until a toothpick inserted into the center of a cupcake comes out clean. While cupcakes cool, mix all icing ingredients in a food processor or a high speed blender till smooth and creamy. Ice the cupcakes and serve! I’m sure that many of you are wondering whether or not you can taste the avocado in here? Well, you can probably taste it in the icing. But not in the cake! You won’t taste a thing, but you will get the benefits of all those wonderful, polyunsaturated fats. Win, win. These cupcakes epitomize the creativity that comes from using whole foods in your baking. I hope they make you (or someone close to you) as happy as they made me. I rarely bake anything fancy for myself, but I’m so glad I treated myself to these. And if those weren’t enough, one of my post-bacc friends made me a raw, vegan birthday cake, all from scratch. He used this recipe! So incredibly sweet–literally and figuratively. I’m a lucky birthday girl. Have a great start to the weekend. wow thank u for sharing a GF version!! much appreciated! they look outrageous!! mmmmmm! Don’t tell on me…I just licked my computer screen. Looks scrumptious! Do you have any suggestions for alternatives to the “Ener-G egg replacer”? You can try flax meal, though I don’t love it for lighter cakes & cupcakes. Happy belated birthday to you, Gena! I’m also finding GF vegan baking to be an interesting challenge, and I’m glad my cupcake recipe inspired you to create something new. Your versions look fabulous. I love the frosting. Thank YOU for such wonderful inspiration!!!! Anyway, happy belated birthday! The cupcakes look great, can’t wait to give them a try. I did a giveaway for Iris’ books last week on my site! They are so helpful…love the tips and recipes…glad you’re enjoying them, too. And these cupcakes. And frosting. WOW! Avocado makes anything so moist and creamy; love that you used it in these! I could live off of chocomole. Almost. It is so good. 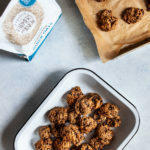 What is coconut crystals or demerara sugar? Do they have less calories than regular sugar? Quick question: does the frosting recipe make just the right amount to frost the cupcakes, or is there any extra? There’s a bit of extra! Do you think a flax or chia seed “egg” would work instead of the egg replacer? I want to make these ASAP but don’t have egg replacer handy! Yes, you can certainly try that! I was lucky to sample Nicole’s version and they were delicious. 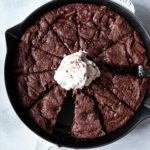 Fudgy, moist and chocolately without any taste of avocado. I love all the birthday treats! Yum! Thank you SOOOOOO much for posting this! They look so wonderful! I can’t wait to make them myself! Bceuase I only eat whole foods I have always used avocado in replacement of oil and “butter” and its suprising well the recipes turn out! These little cakes look great! I hope you had a wonderful day yesterday, you certainly deserved to be spoilt! Look amazing! I just tried chocomole recently and it’s safe to say that I’m obsessed. Question: You don’t mention the 1/4 C. oil in your instructions, but is it safe to assume that you blend that together with the other wet ingredients? Have a great weekend Gena! never tried baking with avocado. these look great. save me a GF one! I really want that book too. 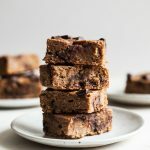 love brittany’s blog, a lot of her baked goods are dairy and egg free therefore vegan too. I think I will have to make these for my upcoming birthday. Yum and I can’t say no to avocado. Thanks for the shout out! Those cupcakes are really making me hungry right now…it’s been a while since I’ve made an avocado frosting, and I you just inspired me to make it happen! Ha — that’s OK. Thanks for letting me know, Libia. Avocado frosting is a classic here, discovered in a book of Ani Phyo, it’s just so smooth and nobody would guess what’s in it. Just perfect! 3/4 tsp! So sorry — fixing now. These look to die for! Thanks, Gena. Happy Birthday again =) … also, that is so nice one of your post-bacc friends made that cake for you. It’s beautiful and that’s one of the best gifts you can get! yum, love cupcakes! glad you had a wonderful birthday full of yummy cake!! hope it was a good day; that raw cake looks amazing. i admire you so much for this journey of unknowns and uncertainties; you will certainly do amazing things no matter where life takes you. Happy belated birthday, Gena! I hope you plan on treating yourself all weekend- You deserve it! Hi Gena, this looks so yummy, cannot wait to try. Is the baking powder 3/4 tbs? teaspoon! Sorry — I’m fixing that now. Oh yes…these are just wonderful! And Happy Belated Birthday! Welcome to the 30 Club! …just wanted to wish you a Happy belated Birthday. All the very best to you. May all of your wishes come true. How sweet of your friend to make you a birthday treat! Thanks for the GF book suggestion. I feel like I’ve just mastered vegan baking WITH gluten, and now I’m at a loss for how to handle it gluten-free. I’m excited to delve into the realm of using more whole foods like avocado in my recipes! Hi, I was wondering if palm sugar or turbinado could be a replacement for coconut crystals/Demerara sugar and also could I replace an egg for the Ener-G egg? Thanks! Trying to make these for my daughters 8th birthday! The first time I made the chocolate avocado cupcakes they turned out great and my little girl and I loved them. This time I forgot to add the coconut oil. I hope they still turn out they are cooking in the oven at them moment. I am having so many baking flops lately! I think I used a little more than half an avocado so hopefully this helps. Thanks for the recipe. I love this idea of using avocado for the main fat. Next time I have avocados, I’m definitely making this. Haven’t tried baking with avocado yet but these look great. Count me in for anything with avocado or chocolate in it. This is obviously a win since it has both :D.
These look so yummy! 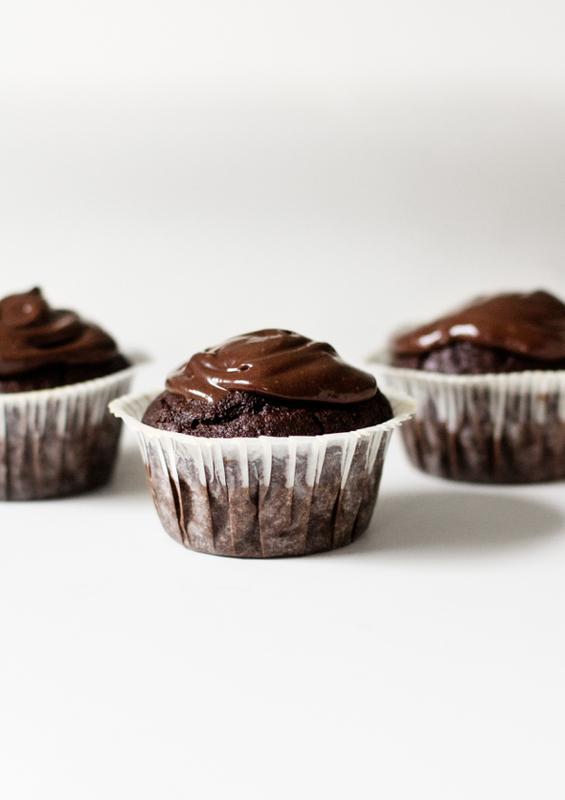 Avocado and chocolate…. oh my goodness!! Interesting for me, sounds delicious i might say, i love avocados, but never tried using it like this. I’ve never tried avocado in a baked good before, but if it involves chocolate I’m sure it’s delicious! Still haven’t tried avocados in a dessert. I love them, but still iffy on dessert. Guess I should just bit the bullet and do it. Then again, I can’t stop myself from eating them plain raw. Wow these look unbelievable! I’m such a chocoholic, so I can’t think of anything better than snacking on some of these – and the frosting sounds divine! I love that you used avocados! Mmm!! Yum these look so good! I love the idea of using avocados in something sweet. I put one or one and a half eggs in as my child is having egg in baked goods to outgrow egg allergy and she loves this recipe. But before I used to use No Egg egg replacer as we are in Australia.